Faith on Friday: 70 Sermons! 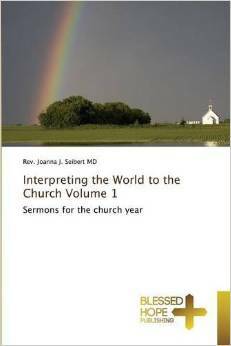 My friend Joanna Seibert, a physician and Episcopal deacon from Little Rock, has just published two new books as eBooks: Interpreting the World to the Church, Volume 1 and Volume 2. Volume 1 is a compilation of 40 sermons in which the Rev. 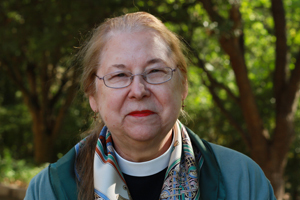 Seibert responds to her call as a deacon to interpret to the Church the needs, concerns, and hopes of the world as a narrative preacher. She is a storyteller sharing stories showing the relevance of the gospel to the world where she lives and works. He taught us where Christ was that day. Christ was out walking the streets of Memphis. Today my prayer is that at the end of this service we will remember Dean Dimmick’s example and symbolically carry your processional cross outside this building and into the streets of this city and this state. Need some inspiration? Both volumes can be purchased from Amazon or Barnes and Noble.